Currently, the leading live-streaming platforms such as Huya, Douyu TV, Huajiao Live Video, Inke, etc. have announced their IPO plans successively. Meanwhile, the live-streaming products which target at overseas markets also attract much attention from all around. 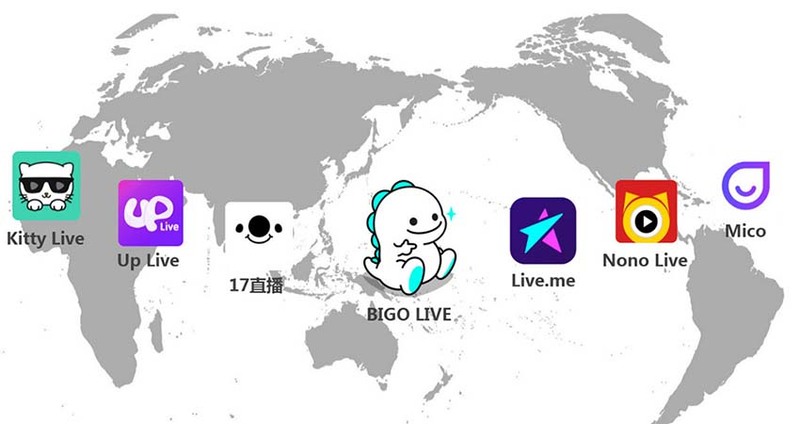 Among the list, there are popular US live broadcasting platform Live.me and Southeast Asian live-streaming platform Bigo Live. Registered in Singapore, the company behind Bigo Live is Bigo Technology Pte., Ltd, but its real driver is YY Inc., the parent company of live-streaming platform YY Live and game streaming platform Huya. Li Xueling, the CEO of YY Inc. is also the CEO of Bigo Live, and it is obvious that this live-streaming platform is designed specifically for the overseas market. Previously, Bigo launched its business as a provider of free phone service. It wasn’t until March 2016 that the company initiated Bigo Live, a live-streaming platform targeted at users aged 18 to 25. Although the Internet ecology development in Southeast Asia is two to three years behind than that in China, it is already witnessing fierce competition. Moreover, Chinese live-streaming platforms have flocked to the Southeast Asia market. Though under adverse situations, Bigo Live managed to gain an advantage in just two years. On March 12, Chinese biztech media and also KrASIA parent company 36Kr was informed that Bigo Live had exceeded 200 million registered users and its monthly active users had reached 36.6 million. The user ratio of male to female is around 7:3, which is different from live.me with a nearly 1:1 ratio. The company claimed to turn a profit in October 2017 and earned a total revenue of $300 million that year. When it comes to capital, Bigo Live also shines. In March 2017, Bigo Live raised US$180 million Series C funding and reached an estimated valuation of over US$400 million. Bigo Live raised capital faster than its competitors, like Kitty LIVE, Live.me, Nono LIVE, Stager LIVE, etc. in its latest financing round. Huya, a business unit of YY, has filed for an IPO. When it comes to the timing of the already highly profitable Bigo Live going public, James said, “it depends on Li’s arrangement”. But as for now, Bigo Live has made good preparation for that. As an outstanding player in the overseas market, its user base soared to 200 million in merely two years. James reckons that it is mainly attributed to its mature content model, localised innovation, and integration as well as traffic bonuses. The Southeast Asia market has become fertile ground for many domestic start-ups as well as giants such as Tencent, Alibaba, Baidu, and Toutiao. In particular, Toutiao defines internationalisation as key for this year. Live.me, invested by Toutiao, based in the United States, has covered 72 countries and regions around the world. Bigo Live, which covers more than 100 countries and regions, has 19 offices worldwide. However, he also predicted that the real competitor for Toutiao would be Facebook, as Mark Zuckerberg had been studying it for the past three years. What Chinese tech giants need is not capital but good teams and products in overseas markets. If what we saw in the Chinese live-streaming market then was ‘a battle of 1,000 apps’, I guess you could say that the Southeast Asia market in 2016 was ‘a battle of several hundred’. We were not selling shoes in a place where no one wears shoes. In fact, the majority of people already have shoes. But since live-streaming is a “heavy-invested” business that requires investment in networks, operations and traffic, the number of players in the market started to decline with time. Additionally, the development of the mobile internet in Southeast and South Asia was two to three years behind China, so we were able to take advantage of the booming mobile internet there. Back in 2016, the daily number of download of our app could reach up to 80,000 in Indonesia, of which only 20,000 were traffic we purchased, just one-third of our naturally acquired traffic. 36Kr: What did you do to localise the product? Countries differ from each other in areas like politics, culture, religions and economy. Localisation will never be successful if you lack a thorough understanding of a country’s social groups, cultural trends and consumer habits. James: The hardest part is to build a model that’s fit for a specific country. Once the model is in place, the natural progression would be to create content to attract users. And the most joyful part is to see that your users are starting to spend increasingly more time and money on the platform. The Chinese internet firms aspiring to go global are generally faced with ‘Three Major Hurdles’ that hold the potential to dent their development abroad. The first and second are the App Store and Google Play. An inevitable part for Chinese internet firms’ ‘Go Global’ effort involves listing their apps on these two platforms, but that means ceding 30% of the revenue generated on these platforms to them. The third one is Facebook and Instagram, which serve as the source for almost 60% of traffic for all kinds of apps. Our main revenue stream is not advertising, but tips from our users, which will remain as our main revenue source for a very long time. The game promotion also holds potential to generate huge amounts of revenue. Apart from that, we’re also starting to embrace cross-sector cooperation, cooperation with e-commerce platforms or other brands for example. The supplementary streams, though, are mere additions to our revenue, it is unlikely that they are going to evolve into our main revenue source in the short run. James: Sure, either another round of financing or an IPO. Companies here in Southeast Asia can easily profit from the growth of user traffic and internet penetration rate. So we’d better raise as much money as possible to make the most out of the opportunities available now. We have good products and business model. James: We need to establish our presence in countries whose GDP per capita is above US$20,000 and set up our viable business models there. We will then try to turn a profit and scale up our operations. The second approach is adopted by Toutiao’s short video streaming apps Douyin and Huoshan, as well as Tencent-backed live-streaming platform Kuaishou, aggregating information in creative methods. In both China and overseas countries, the market is already dominated by a few top players. 36Kr: Then is there any chance for a new app that is like Douyin, which saw its DAU increase by 70 million in a year, to emerge? That is hard to predict, we still can’t ignore the above mentioned three challenges, iOS App Store, Google Play and Facebook, especially when an app scales up its operations and influence. Apple, Google, and Facebook squeeze your profit margin and control your user traffic. The competition is brutal in that sense, but many companies haven’t realised that because they are not large enough to encounter these problems yet. When the DAU of your app tops 100 million and your company is relying on advertisements for revenue, the competition with Google and Facebook is going to be fierce. James: We are not competing with Toutiao, but maybe Facebook is. Mark Zuckerberg is said to have been paying attention to Toutiao for the past three years. James: We want to scale up Bigo Live first. We need to have a large user base and a viable business model to make sure our platform has sustainable development. Based on that, we could develop an app matrix in the Middle East, India, and Bangladesh. If we can achieve that, we could establish our competitive edge in the market and turn a profit as we could develop a synergy between our apps. That is why we are not afraid of competing with the Chinese ‘BAT’ triumvirate in overseas markets. This article was written by Gao Xiaoqian, and first appeared on KrASIA. 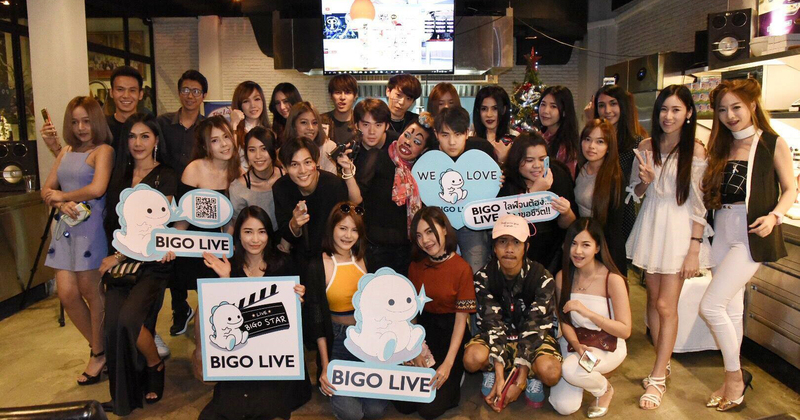 Chinese Livestreaming Giant YY Invests Additional US$272M In Singapore-Based Bigo Inc.